We are super stoked to share with you today an excerpt from former Poppytalk contributor, Rachel Mae Smith's new book, Hello Color, 25 Bright Ideas for DIY Decor. As many of you know, Rachel's past projects here and on her own site, The Crafted Life are always super colourful, so creating a book filled with colour was inevitable! The result is a gorgeous collection of projects with home decor in mind. Divided into four chapters the book covers each room in your home, The Living Room, The Dining Room, The Kitchen and The Bedroom. 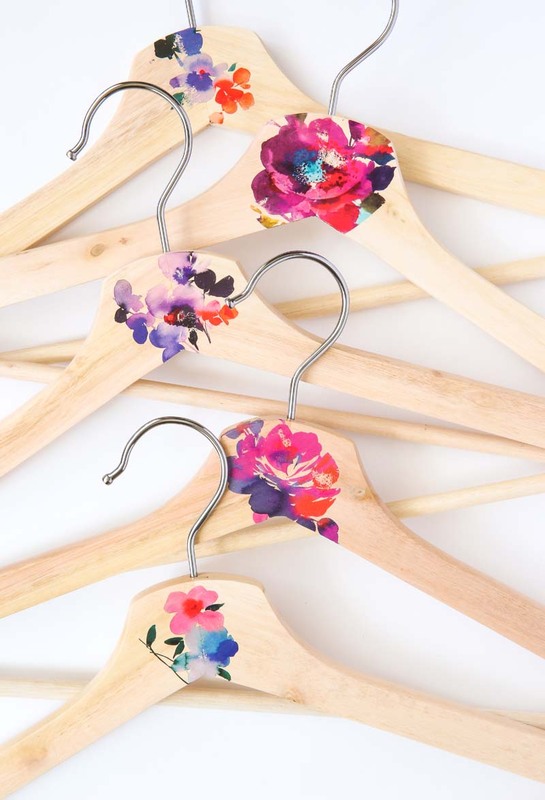 The craft we're sharing today is from the bedroom category, featuring a cute makeover of wooden hangers using temporary tattoos and and a little Mod Podge. So clever! Let's take a look! 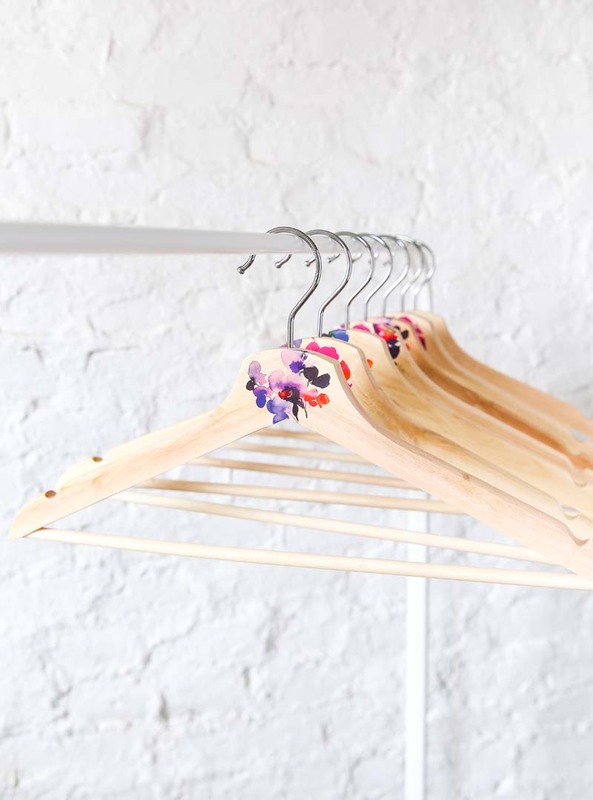 Clothing aside, your closet may not seem like a place for color, but think again! 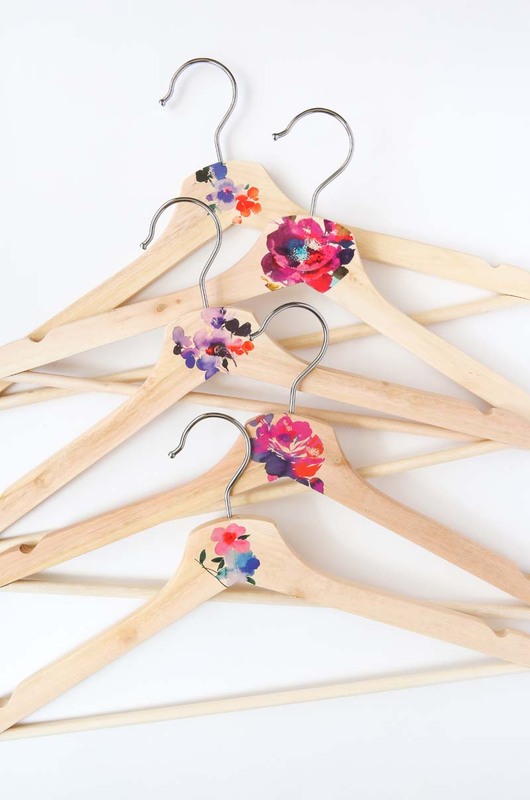 Create gorgeous patterned hangers in minutes without being an artist or even making a mess. The trick? Temporary tattoos! That's right—they're not just for kids (or for skin!). They may seem like a simple detail, but it's one that will make you smile on the days you decide to skip the sweatpants and dress up instead. I found wooden hangers at Ikea and temporary tattoos online at Tattly (the designs shown below) are by Helen Dealtry). You can also make your own by printing with an ink-jet printer on tattoo paper. 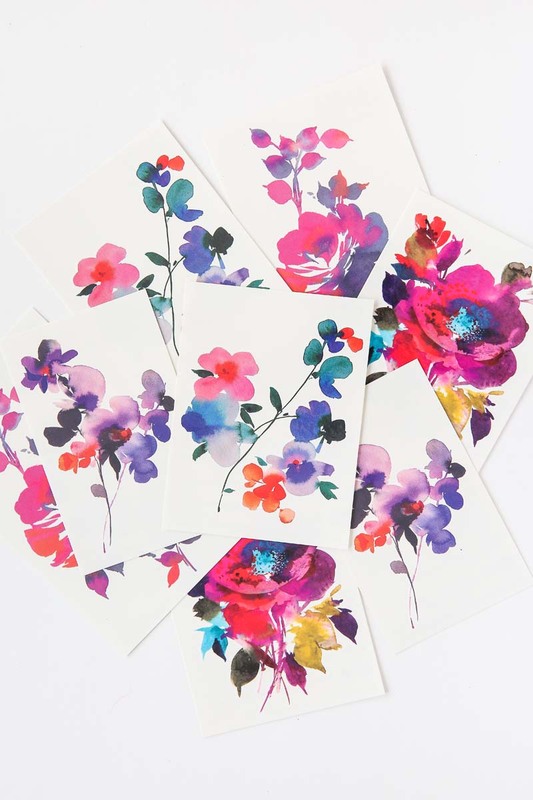 Try applying the tattoos to other surfaces like vases, ornaments, planters and more! 1. If needed, use scissors to trim your tattoo to fit the hanger. Peel the plastic off the front of the design and place it facedown on your hanger, so the white paper back is facing you. 2. Apply pressure with a damp sponge for about 30 seconds. Slowly lift the paper to reveal the tattoo. Lightly dab off excess water with a towel and leave your hanger to air-dry. Repeat with remaining hangers. 3. Seal the designs by brushing on a layer of Mod Podge and let dry. You're all done! Hello Color is published by Quirk Books and is available online and at most book stores. For more info click here. 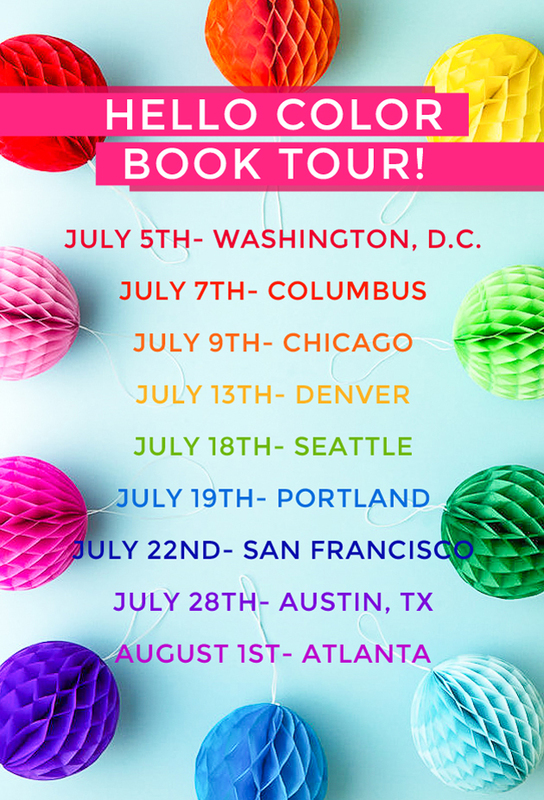 Rachel is currently on a book tour with her new book across the U.S with one more stop to go, August 1st in Atlanta if you happen to be in that area.